Ittihad Jeddah has decided to impose a fine on Egypt international Mahmoud Kahraba following his actions during the Ettifaq friendly game. Kahraba, who returned to the Saudi side for a second loan spell from Zamalek, was involved in a clash with one of the Ettifaq staff in a game that saw the latter’s side emerge victorious 3-0 in the Tabuk International Championship on Friday. The Egyptian winger has issued an apology to the club’s fans on his Twitter account after his behavior during the game. 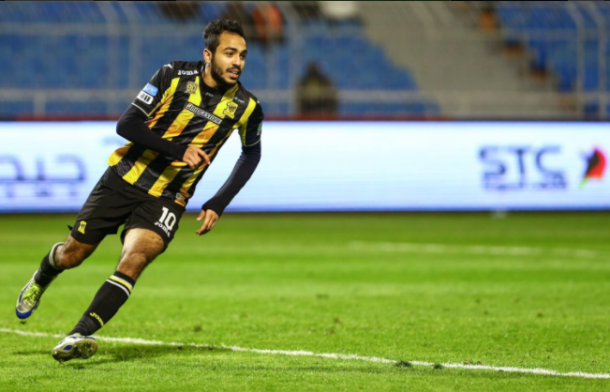 The 23-year-old spent last season on loan at Ittihad and managed to shine in the Saudi Professional League, scoring 16 goals to become the third highest goal scorer for Ittihad since 2005. It’s worth noting that Ittihad will kick-off their new season at home against Al-Batin on Friday, August 11 in the Saudi Pro League.